The policy of 'Total industrialization of civil engineering' has surely the potential and capacity to solve country's acute and appalling housing and slum problems, without public funds. It also has the ability to contain and control other attendant well-known ills, evils and malpractices, which have today plagued the housing sector in India', says B G Shirke, an outstanding civil engineer, a pioneering entrepreneur and industrialist, a crusader for total industrialization of civil engineering, in short a visionary par excellence. I have just finished reading an inspiring autobiography of this Vishweshwarayya of independent India titled 'The Crusade'. This is the thrilling story of B G Shirke's lifelong mission to transform - to industrialize - civil engineering B G Shirke has openly declared that Sir M Vishweshwarayya, the renowned Indian engineer, administrator, technocrat, entrepreneur and reformist who laid the foundations of Indian industry long before India's independence is his role model. As the Chief Engineer of the State of Mysore in 1910, Vishweshwarayya advocated that all the building materials and components and the structures built with them must have an objective and scientific quality audit, as in other industries. Let us hear Shirke's bracing words in his marvelous autobiography: 'Although this is my autobiography, it is also a most tragic history of this imperative reform for our country. It describes the problems involved in the founding of a new building materials industry, with all its vicissitudes and prospects of success, in a country like India, where it is desperately needed, but inordinately delayed by the fierce opposition and resistance of the vested interests. This book is a factual account of the events, the court cases, and the myriad agonies I underwent to champion the urgently needed technologies. It tells a harrowing story about changing the discriminatory tender notice. It describes the anachronistic contract documents drafted by the alien rulers some 200 years ago for insignificant works and for utterly different and dissimilar purposes, which only generate, proliferate and fully protect the malfeasance and rampant corruption, with impunity, due to unscientific subjective personality based fraudulent procedures and practices'. Through his Himalayan exertions and creative efforts as an entrepreneur and industrialist for more than five decades, he has succeeded in his mission of demonstrating in India and abroad that total industrialization of the civil engineering industry is both possible and practicable. B G Shirke was born on August 1 1918 in a village called Pasarni near Wai, a small town in Satara District of old Bombay Presidency. His father was Govindrao Sadashiv Shirke. He belonged to the Shirke clan, famous in Maratta history from the end of the 15th century. Chhatrapati Shivaji's wife Soyrabai whom he married in 1650 belonged to the Shirke clan. B G Shirke's mother came from the historic Mohite family in Sarkalwadi, a small hamlet in Koregaon Taluka in Satara District. After completing his primary education at Pasarni village and secondary education at Wai, B G Shirke went to Fergusson College in Pune in June 1936 for his college education. After passing the inter-science examination in March 1939, he joined the famous Pune Engineering College in June 1939. This college had produced outstanding engineers like Bharatratna Sir M Vishweshwaryya, Dewan Bahadur Godbole, and Dewan Bahadur Vartak. Sir M Vishwesharayya became Shirke's hero for a life time. He passed his BE (Civil) in June 1943. Right from the beginning, Shirke wanted to be his own employer. He started his first construction Company called the Supreme Construction Company on Vijaya- Dashami Day on September 1944. Shirke became a regular contractor for the Military Garrison Engineer's Offices and through a proven track record of efficiency, integrity and quality, he raised himself step by step from an eligible approved level of Rs.10,000 for doing labor contracts to a level of Rs 1,00,000 with the full approval and backing of the Army Authorities. The turning point in his life was his marriage with Vijaya or Tai, daughter of Chimanrao Abajirao Shinde, one of the leading contractors of Kolhapur on 10 March 1947. She proved herself to be a great asset in helping her husband in enlarging his business through her good skills in management. She was a tower of strength to him till her death in 1980. The turning point in his life was his association with Shantanurao Kirloskar from 1962 to 1970. Shirke built one after another almost all Kirloskar factories in Pune. Shirke became their most trusted turnkey contractor for all erection and construction activities. A landmark event was the grand opening ceremony at the Kirloskar Cummins factory with the Defence Minister, Y B Chavan, as Chief Guest in February 1964. 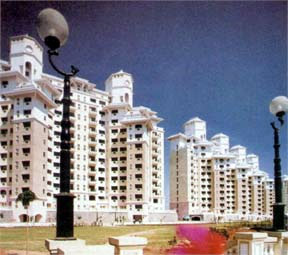 CIDCO's prestigious NRI Seawoods Project, comprising 12 to 14 storeyed buildings constructed at Nerul-Navi Mumbai. This complex was started 15 months later than other similar works awarded to three other contractors and completed six months earlier than others. The quality, speed and method of execution were scrutinized by the Institution of Engineers India) and CIDCO Engineers Association and BGSCTL were placed 1st in the competition. Shirke was always concerned about the urgent national need for producing new building materials to meet the ever growing challenge of national housing. Shirke's visit to the Siporex factory at Sodertalje, south of Stockholm in 1965 convinced him about the imperative need to start a Siporex factory in India. Siporex has been called the Wonder Building Material of the World. It is a light weight high strength to weight ratio material, highly insulating and fire resisting. His three study trips to Europe between September 1965 and May 1968 had given Shirke a new vision. In order to give a concrete shape to his new ideas about total industrialization of Civil Engineering, Shirke formed Siporex India to manufacture Siporex as a Joint Sector Public Limited Company. In June 1966, he obtained the licence within six months by making 15 visits to Delhi. Commercial production of Siporex products began on February 20 1972. The most important products were un-reinforced blocks for load-bearing walls and partition walls, and reinforced slabs and lintels, all steam-cured under high pressure and temperature. Only when he started selling his new Siporex products, B G Shirke came to realize that he had to fight against firmly entrenched vested interests in the civil engineering profession, at all levels of State Government and the Government of India. In order to sell his products, Shirke started quoting a lump sum of Rupees 6 million for a project costing Rupees 10 million just to clinch the order and in this process he became bankrupt in 1975. Like Mahatma Gandhi fighting against the British Government for Poorna Swaraj for India, B G Shirke has been fighting in an indefatigable manner to industrialize the whole field of Civil Engineering with total focus on upgrading and modernizing the Building Materials Industry. His greatest moment of glory was reached on December 11 1984 when Government of Maharashtra passed a Resolution awarding 1,500,000 sq.ft. built-up area works to B G Shirke and Company every year without tenders and instead fixing rates by negotiations. Many underground anti-national and anti-social elements tried their best to block the implementation of this order till B.G.Shirke's Companies were fully vindicated by the Bombay High Court in a landmark judgement delivered on 26-3-1998. Shirke Siporex manufacturing Unit in India is accredited with ISO 9001 and ISO 9002 Certificates to ensure quality and consumer protection. India today is plagued with the evils of black money and consequent and rampant corruption enveloping our country with impunity, resulting in the total degradation of national character and erosion of all ethical and moral values. The panacea for this social cancer is total industrialization of civil engineering and we have to implement this at all levels on a war-footing. Unfortunately, the civil engineering technocrats and bureaucrats working in the Central and State Governments and Government Corporations, barring some honorable exceptions are not implementing this national industrial life-saving programme. In my view Government of India in the Ministry of Human Resource Development should issue a notification making B G Shirke's splendid autobiography 'The Crusade' a compulsory textbook for all civil engineering students in India. As I completed reading B G Shirke's remarkable autobiography, I could see that here is one of those rare beings whose pace of life, for six decades, has been faster and more intense than the ordinary. Just as an aeroplane only flies by its speed and pressure against the air, so has he flown best and easiest in the hurricane all the time in his life. Now 88 years young, he has a full measure of the versatility of genius. He holds one of the master keys which unlock the doors of many kinds of treasure houses. He is a rare combination of a servant, a soldier and a savant in the exciting field of civil engineering. He has always been a dweller upon the mountain tops where the air is cold, crisp and rarefied and where the view on clear days commands all the Kingdoms of the world and the glory of them. with due respect Today is Pad ma shre The great Civil Engineer BG SHIRKE Saheb Birth day. He is the man of who made dream come true of solving mass housing problem in India. His teachings will be never forgotten His valuables his devotions and dedication with a great enthusiasm . His vision His policy His Quality of work His Efforts A true Professionalism Engineer who made India Proud. Shirke sir were one of the good civil engineer. Same as vishweshwarayya.My role model in this field of civil engineering is vishweshwarayya & Shirke sir. Shirke sir were one of the good engineer. 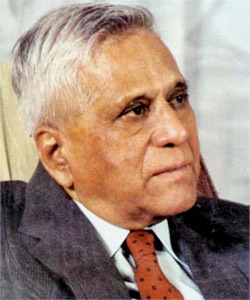 Same as his, visweswarayya is my role model in the field of civil engineering. As shirke sir dare to work and he succed in his life. Salute to such an engineer!